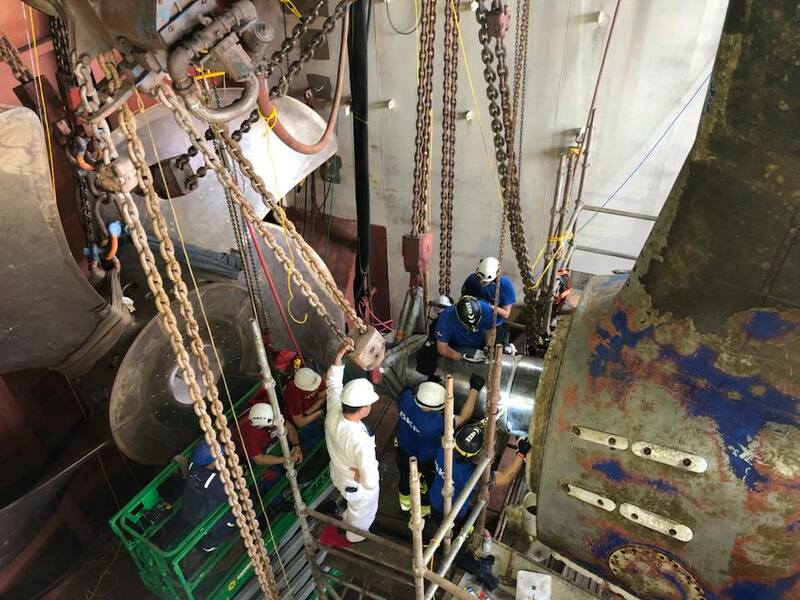 Royal Caribbean's Allure of the Seas is undergoing repairs to its propulsion system, which was damaged last summer. 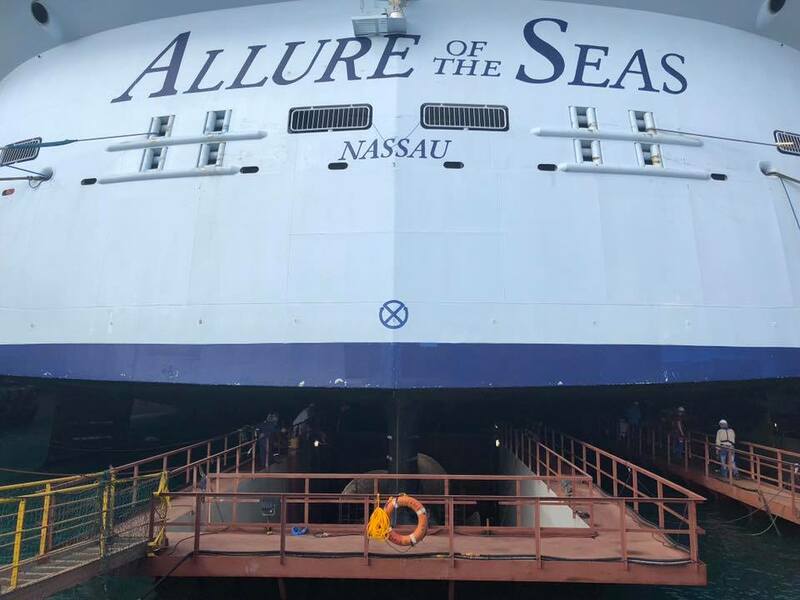 Royal Caribbean Chief Meterologist James Van Fleet has been sharing photos from the dockyard in the Bahamas of the work being done to Allure. Royal Caribbean announced it has changed the scheduled itinerary for Allure of the Seas due to the recently developed Category 2 hurricane. Hurricane Irma is expected to begin a northwest turn just before Saint Maarten on Wednesday, according to Royal Caribbean Chief Meteorologist James Van Fleet. Given the storm's location and for the comfort and safety of our guests and crew, Royal Caribbean felt it necessary to alter the currently scheduled Eastern Caribbean itinerary for Allure of the Seas September 3 to a Western Caribbean itinerary. The new itinerary is outlined below. Pre-booked shore excursions for our previous ports of call will be cancelled and refunded to the guest’s original form of payment while onboard. Guests will also have the ability to book shore excursions for our new ports of call at the Shore Excursions desk onboard Allure of the Seas. Royal Caribbean noted they do not expect to make any further itinerary changes, but it may happen depending on the path of the storm. James Van Fleet will continue to offer more frequent updates on his twitter account. Following a slew of itinerary updates for upcoming Allure of the Seas, Royal Caribbean has scheduled the ship to enter a dry dock in January 2018 to fix the issue(s) slowing the ship. 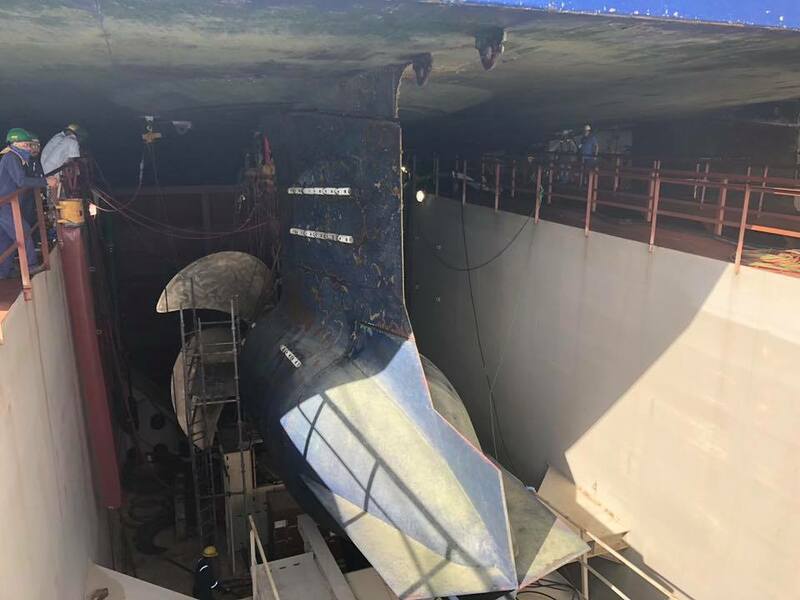 Royal Caribbean confirmed on Twitter that Allure of the Seas will enter dry dock on January 21, 2018. 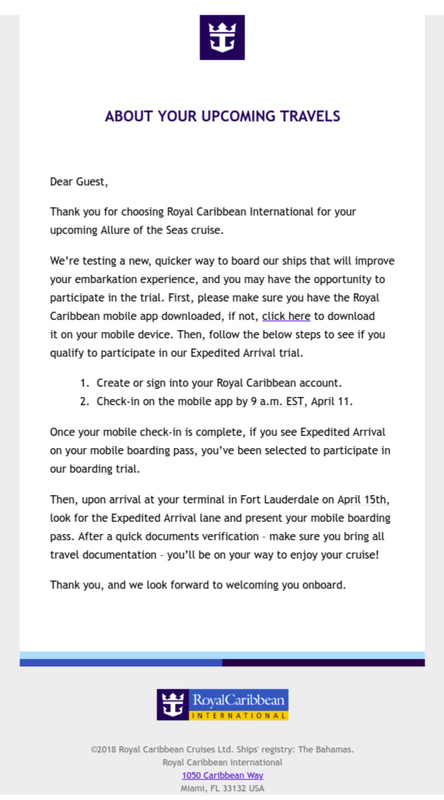 All this week, many guests have received email notifications from Royal Caribbean alerting them to a "speed restriction" that forced the cruise line to change scheduled port stops. 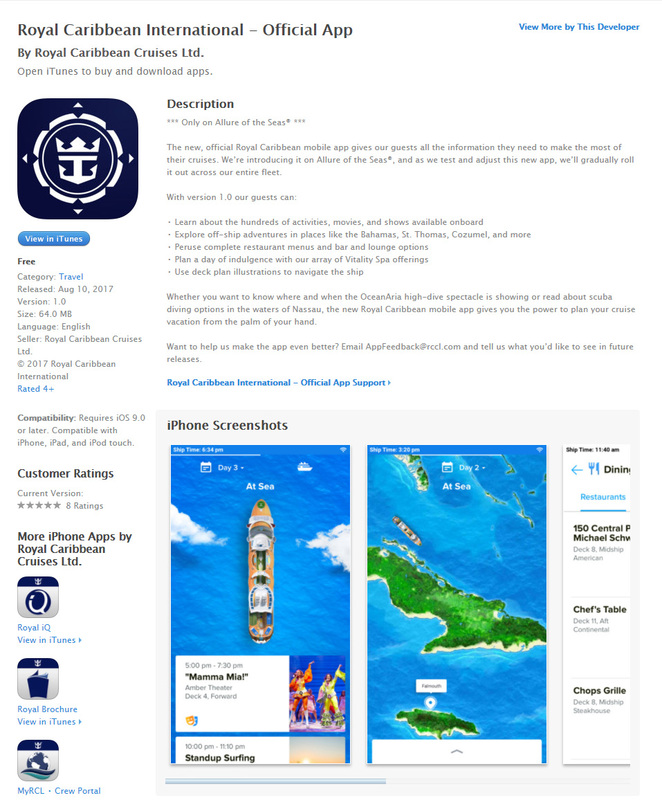 Royal Caribbean has not indicated the nature of the issue exactly. 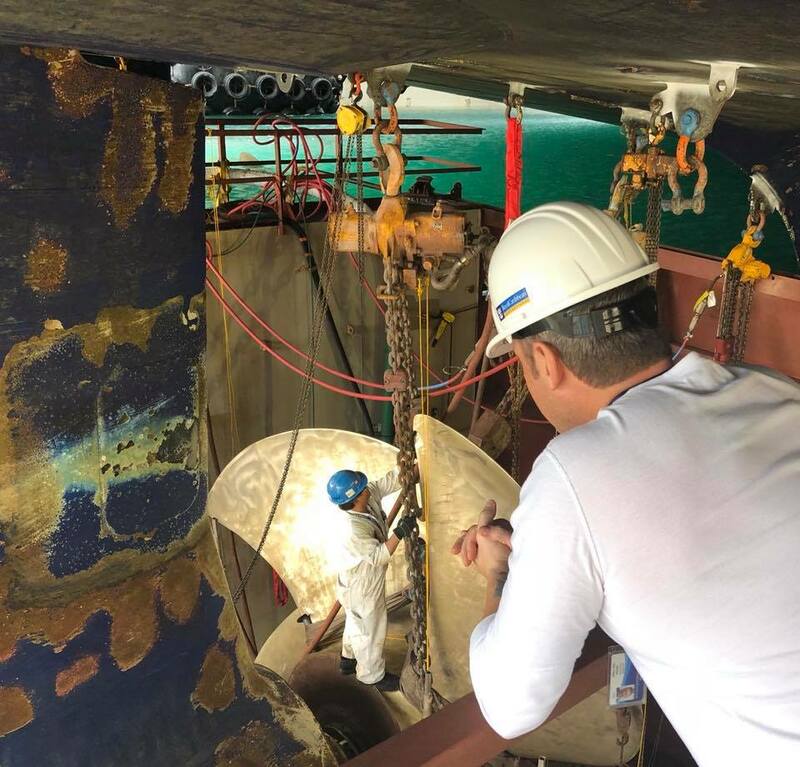 Royal Caribbean Blog reader Brian Davis shared the Captain of Allure of the Seas indicated a few weeks ago that there was damage to one of the three propellers. 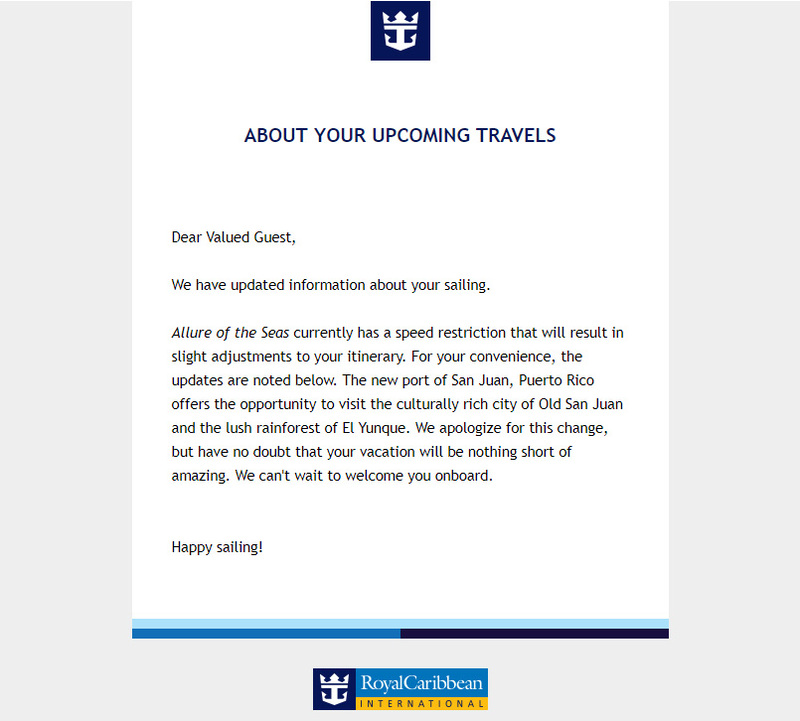 Guests with sailings booked on Royal Caribbean's Allure of the Seas are receiving emails from the cruise line that their itinerary has changed due to a speed restriction. Emails similar to this one that Royal Caribbean Blog reader scottvfl shared, were sent to guests informing them of the itinerary change. 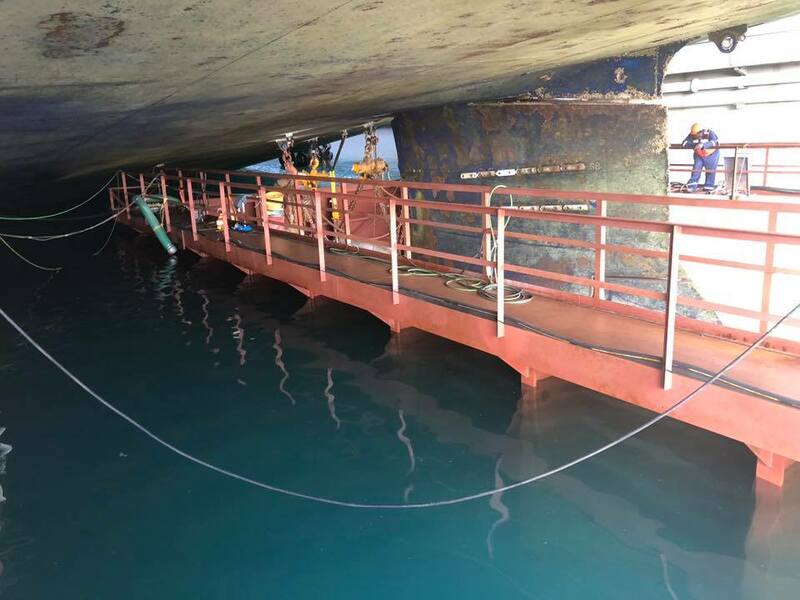 Royal Caribbean has not indicated the nature of the issue exactly. Based on emails sent to guests, it appears the changes mostly affect Eastern Caribbean itineraries, with St. Thomas often being replaced with San Juan, Puerto Rico. 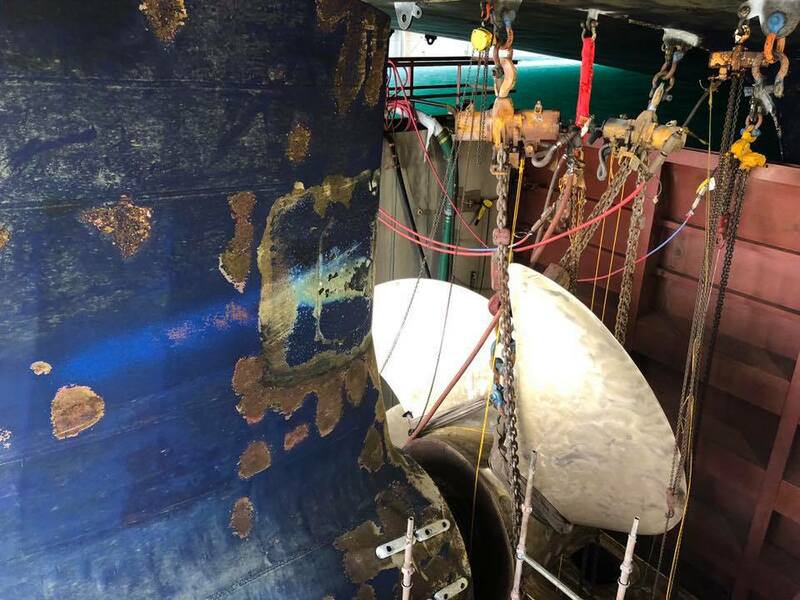 Propulsion problems are not uncommon among cruise ships, resulting in slower speeds until the issue can be addressed in port. 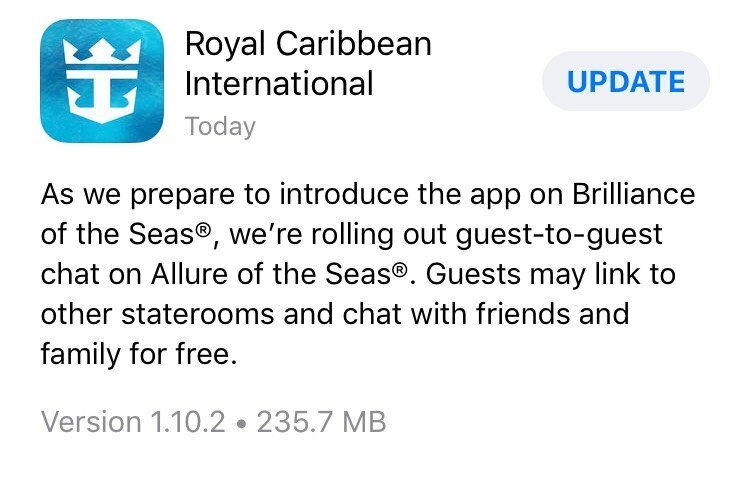 Anthem of the Seas had a similar issue in March 2017, Liberty of the Seas in 2015, Freedom of the Seas in 2014, and even Allure of the Seas back in 2013. There is no indication yet as to how soon the issue will be resolved. Royal Caribbean has designed Allure of the Seas with the word, "fun" in mind. In short, there is a ton of activities and things to do on Allure of the Seas. From the spectacle of the AquaTheater shows to the challenge of the mini golf course, you will find no shortage of things to each day of the cruise. We combed the list of things to do on Allure of the Seas, and came up with our list of nine cannot miss favorite things to try on Allure of the Seas. 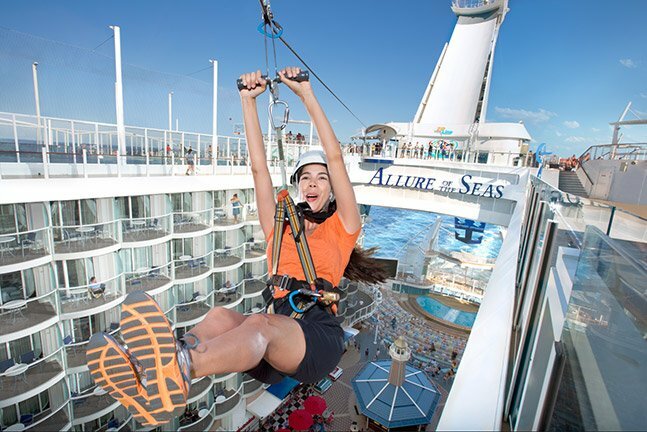 Allure of the Seas features its own zip line that is 9 decks above the Boardwalk neighborhood of the ship, and stretches 82 feet from start to finish. Going for a ride on the zip line means not only a terrific vantage point all around you, but a great family-friendly thrill experience. The Sabor restaurant on Allure of the Seas serves up a lot of tasty Mexican cuisine, but at the top of the list has to be a bowl of custom ordered and freshly made guacamole. 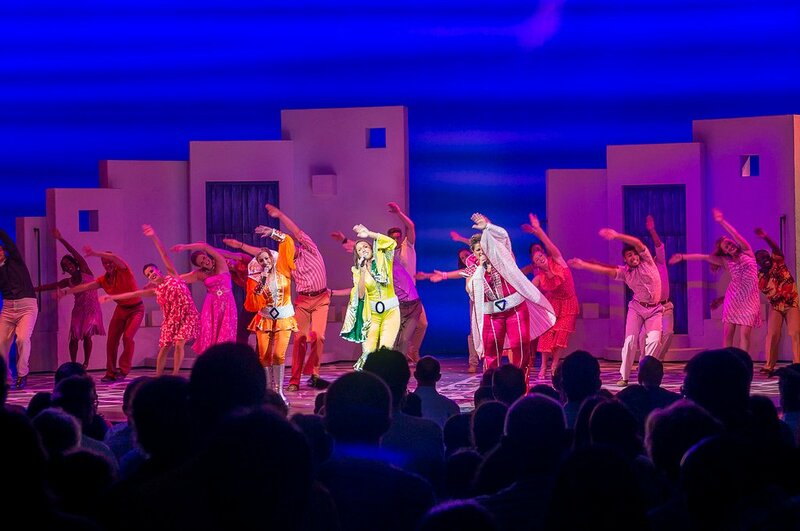 One of the most successful and beloved Broadway musicals, Mamma Mia!, is available for guests to see onboard Allure of the Seas. Did we mention there is no additional cost to see the show? Mamma Mia! 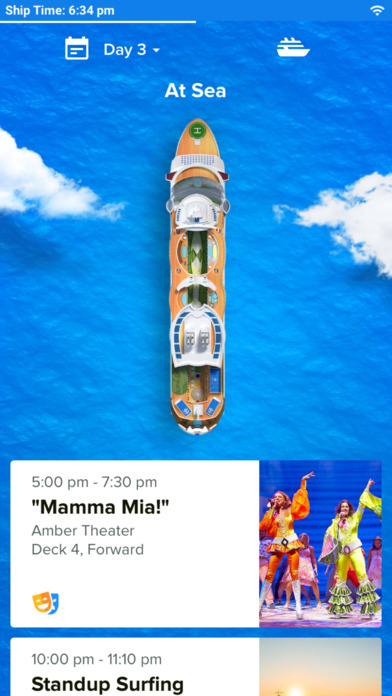 features the songs of 70's band ABBA, and is featured on every Allure of the Seas sailing. Mamma Mia! is the story of a girl getting married and wanting to meet her estranged father. Mamma Mia! played on Broadway for over 10 years. Guests can pre-book reservations online prior to their cruise, or get tickets once onboard. Ideally, try to get tickets before your cruise to ensure a smooth and effortless show experience onboard. Almost every evening, the English pub on Allure of the Seas is home to a talented singer who plays the kind of bar songs we have all come to enjoy over the years. Located in the Royal Promenade, you should make an effort to stop by at least one evening to take in a set and sing along to songs you probably know the words to, while enjoying a beer or cocktail. In fact, the pub is where you will find the widest selection of beers and liquors to choose from. Royal Caribbean partners with DreamWorks Animation to bring to Allure of the Seas the stars of many popular animated films. Characters from Madagascar, Shrek, How to Train Your Dragon and Kung Fu Panda are available to meet all guests on Allure of the Seas, with many meet opportunities throughout the cruise. There is even a special DreamWorks character breakfast on one morning, where you can combine breakfast with seeing a lot of the characters in one spot. 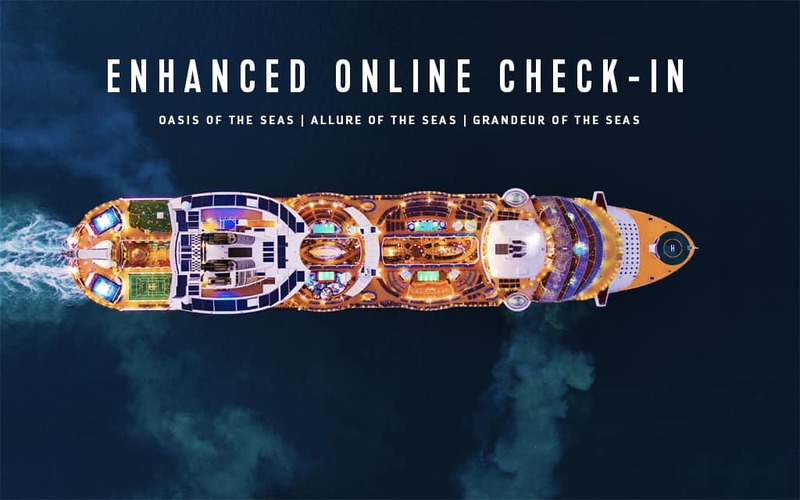 Royal Caribbean offers an all access tour for guests to join, where they can peek behind the proverbial curtain and see how a ship as massive and impressive as Allure of the Seas functions. 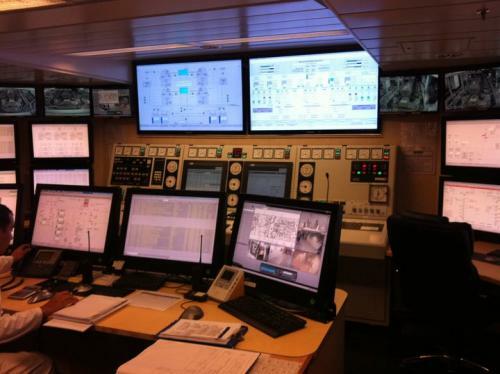 Guests are escorted through a number of critical areas of the ship, including the galley, bridge and engine room. 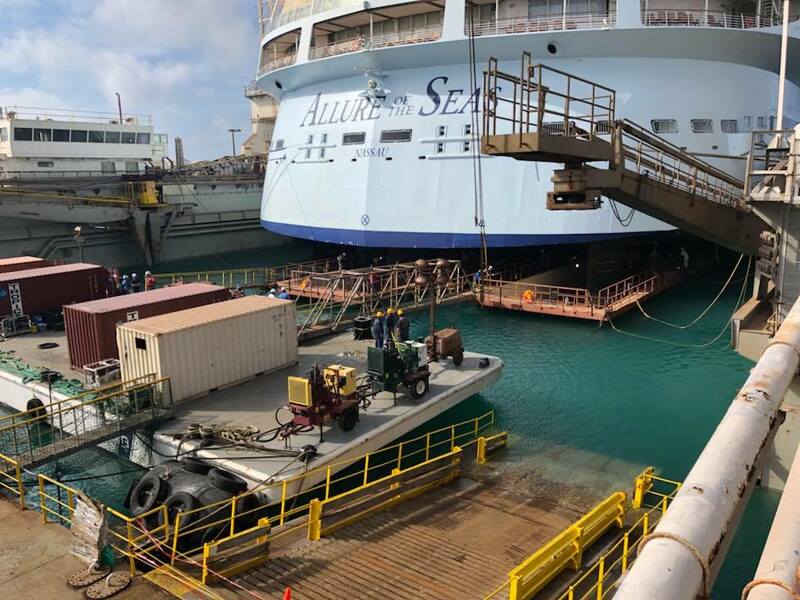 It is a fun way to take a glimpse of what it takes to keep Allure of the Seas functioning, and even get those nagging questions you have always wondered about finally answered. The All Access Tour is available to purchase through the Cruise Planner prior to the cruise. 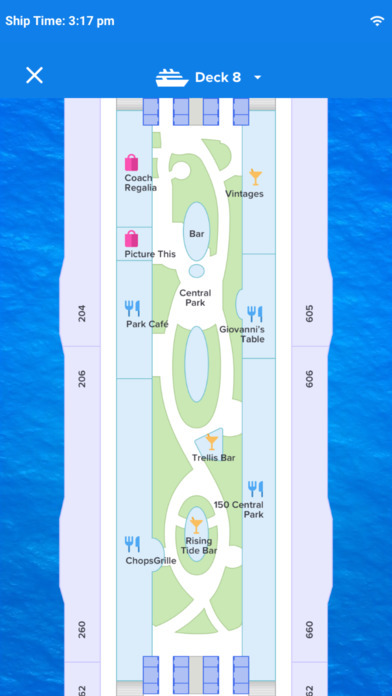 Be sure to also look out for a complimentary tour of Central Park. The tour offers an interesting look at what it takes to have keep all of those plants and trees be so beautiful. The exact day and time will be listed in the Cruise Compass, onboard Allure of the Seas. There is something undeniably cool about a bar that moves between decks, and Allure of the Seas has a bar that does just that. The Rising Tide Bar continuously moves between the Royal Promenade and Central Park, offering some great views while you enjoy your favorite cocktail. There's just something very cool about being on a bar that moves through the air and with a drink in hand, it's a great place to watch all those people that are watching you. 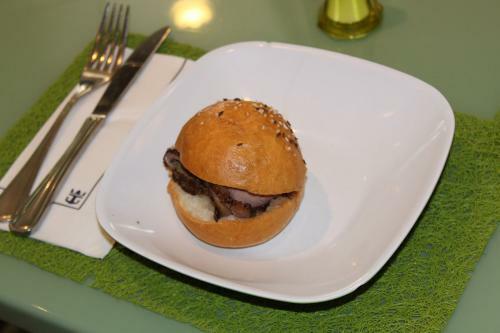 There is a lot of great food on Allure of the Seas, but a hidden gem has to be the roast beef sandwiches from Park Cafe. These sandwiches are just amazing and no trip to Central Park is complete without one of these tasty (and complimentary) treats. No cruise aboard Allure of the Seas is complete without a ride (or three) on the Carousel. Regardless of age, guests of all ages can enjoy the classic nature of this attraction. Located in the Boardwalk neighborhood, you will find a full-sized, traditional hand-crafted carousel that was specially designed for Royal Caribbean. Be sure to bring your camera, because there are bound to be terrific photo opportunities and ride during the evening and day to get completely different experiences. 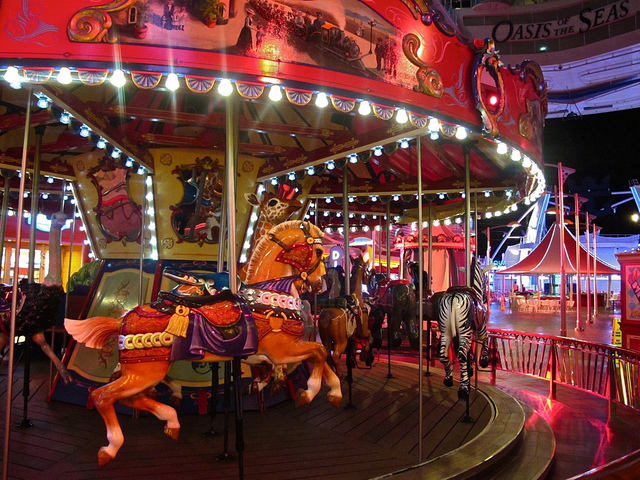 Also, check out the carousel at night because like the fairs of the past, nighttime is when these rides really shine when they are all lit up. 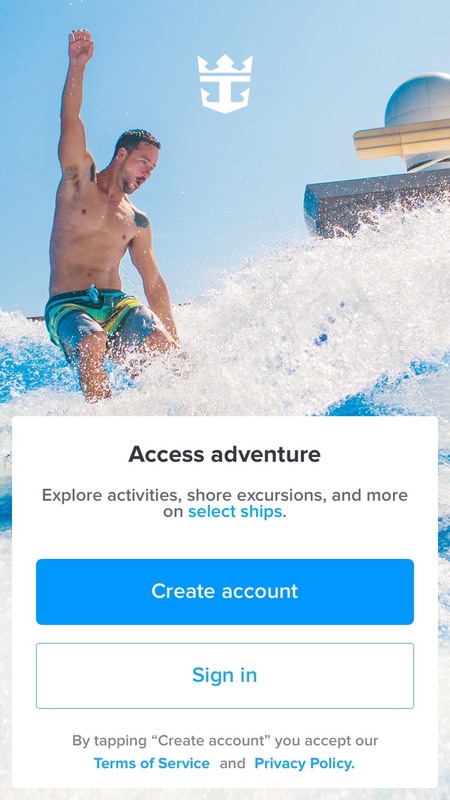 Have you been on Allure of the Seas? 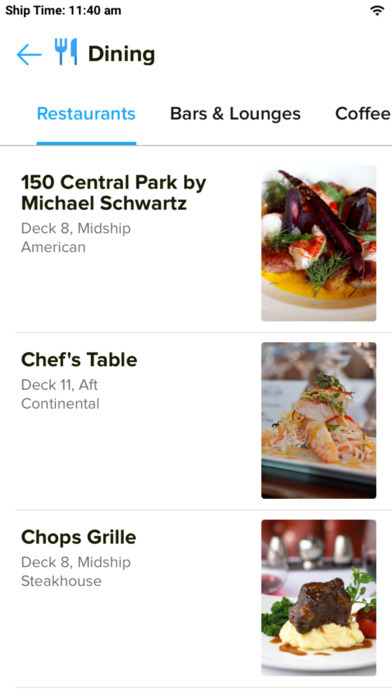 What do you think is something that everyone should try onboard? Share your thoughts in the comments for the blog post!